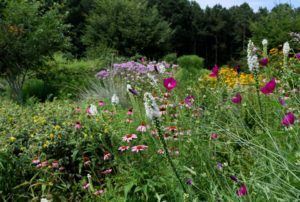 Governor Roy Cooper has officially designated October 28 to November 3 as Native Plants Week in North Carolina, highlighting the importance of native plants to North Carolina’s natural heritage. Last October (2017), First Lady, Kristin Cooper, hosted a special commemoration at the Executive Mansion, where she joined Audubon North Carolina in installing over 1,000 native plants. Read Governor Cooper’s Proclamation for this year, and check out our ‘Events’ tab for pictures from last year’s event. Just released! 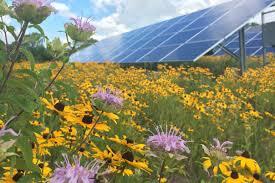 Our Energy Committee has drafted a detailed guidance document for the creation of pollinator habitat on solar farms. You can either navigate to our ‘Energy’ section (under the ‘Committees’ tab) to find the document and get more information, or click here: NC Solar Technical Guidance Oct 2018. You will find a wide range of information, including plant lists, habitat recommendations and general pollinator biology. 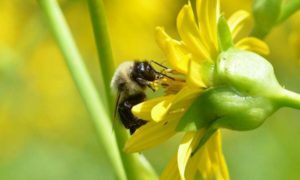 There have been ongoing discussions to determine the best strategy to attract pollinator and pest predators to agricultural fields. Scientists have suggested that wildflowers as border crops may be effective. 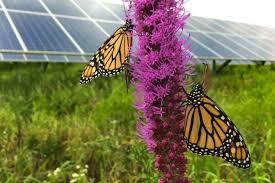 However, there must be an ideal mix of natural habitat and agricultural land. Click here to find out more details on this study conducted by Cornell University. If you follow headlines and diligently read the news, there is often disconcerting research regarding the status of our native pollinators. Here’s a break in that trend! 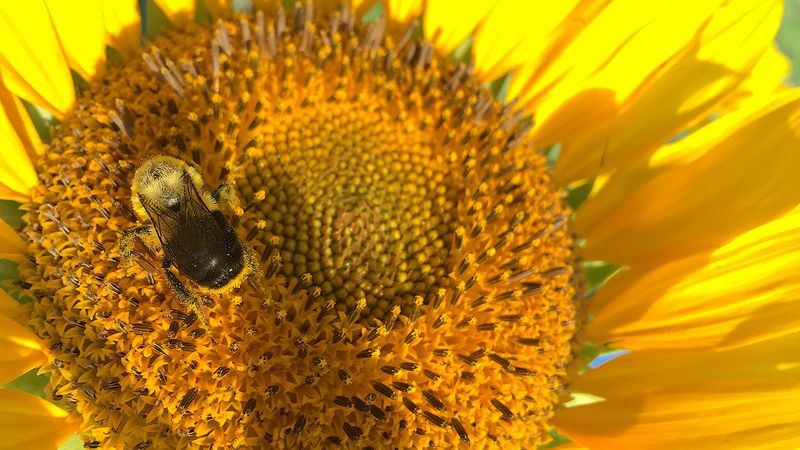 This study, conducted by one of our partners at NCSU, Dr. Rebecca Irwin, along with her colleagues, indicates that sunflower pollen has the potential to dramatically lower infection rates by specific pathogens. Check it out here!